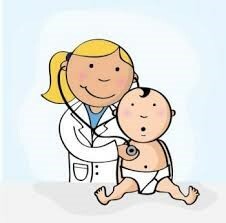 The paediatric service is provided by one Consultant Paediatrician and one full time Specialist Paediatric Registrar. The Doctors work in very close partnership with the Community Nurses and run the medical clinics together. The aim is to provide a comprehensive assessment and management service for children and young people with an intellectual disability for birth to 18 years. There is a commitment to a holistic approach, managing medical needs in the context of the child and family and involving the multidisciplinary teams where possible. The service covers Galway City and County (with the exception of the Ballinasloe area) and includes service users from other disability agencies in these areas. The Ballinasloe and Roscommon areas receive a paediatric service from the community paediatrician based in Portiuncula Hospital, Ballinasloe. There is a working commitment to children within the Early Intervention Services (0-6 years) and to those within the Community School age team (6-18years). The Consultant Paediatrician works in close partnership with the Consultant Psychiatrist working for the Brothers of Charity and currently run a joint monthly clinic for service users. The Consultant Paediatrician also works in University Hospital Galway allowing seem-less access to the diagnostic facilities therein for the children attending the Brothers of Charity Services. The Paediatric Service runs scheduled clinics within the specialist preschools and special schools in Galway City and County for service users of the Brothers of Charity. Access to the Paediatric Service is open to all children currently availing of our BOC Galway Services. Referrals are based on the needs of the child, the suitability of the service to meet those needs and the availability of services. An initial assessment of the child’s needs is carried out and services prioritised. Currently Early Intervention Referrals may be made through relevant health care professionals, other agencies, hospitals and/or other individuals/services and there is a specific referral form. Referrals to the Community School Age Team are usually sent by referral letter or specific medical referral form from the Multidisciplinary team members, GP’s, or from the parents who can contact the Community School age Nurse to arrange same as this Nurse co-ordinates the Community school age medical clinics. The Early Intervention service aims to provide a high quality, responsive service to children and their families in so far as it possible. They invite families within the service to bring to their attention any comments, compliments and/or complaints you may have. This can be done verbally, by letter or by filling out the ‘Your Service Your Say’ form, which is available through your keyworker or any team member. Feedback is very important as it helps the Early Intervention Team to learn and understand what is important for you and your child. Further information on any of the Springtime Early Intervention Policies, Procedures, Protocols and Guidelines are available to you on request. Comments, compliments and/or complaints from individuals / family members receiving a service other than from the Early Intervention Team should follow the link below for information and forward any formal complaints, in writing, to the Director of the BOCSI – Galway Region. Research Projects involving the Paediatric Department: Current project on Catatonia in children with Autism Spectrum Disorder. Please refer back to the website for further general information on the Brothers of Charity Services Ireland – Galway Region, including information on Advocacy and Human Rights.